Crisis preparedness and emergency management in border communities are often overlooked. In 2014, more than 68,000 unaccompanied children entered the United States border. In the summer of 2015, over four million Syrian refugees, in addition to two million Afghani, Iraqi and Somali refugees, sought safety in Europe resulting in a full-scale humanitarian crisis. While nations have responded, no amount of goodwill alone can address or resolve the security-related issues that come with mass migration flows. The problem is amplified when refugees enter boarder communities that are ill-prepared to address their needs. The inability to address these needs compromise the health, safety and security in the border communities. The frequency, scale, and impact of mass migration of refugees, migrants and undocumented persons exacerbate local, regional, national and international actors’ ability to address humanitarian crisis. Migration, viewed as a security threat, has a significant impact on the legal, cultural, ethical, policy, and infrastructure of a place and community. The sudden influx of persons fleeing civil unrest (civil war), environmental disasters and pandemics, persecution, especially from very different social or cultural backgrounds than the receiving communities, can also pose serious challenges to social cohesion. This special issue seeks to provide a forum for international practitioners, academics, researchers, educators and policy makers to disseminate and access the most recent advances in knowledge, research and practice for border security and immigration policy with an emphasis on how border security and immigration policy impacts local, regional, national and international communities and cultures. 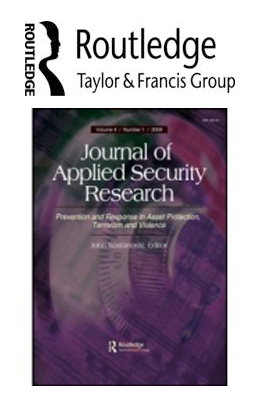 This special issue explores new technologies, strategies, practices, methods and research for border security issues. The journal will be of interest to professional practitioners, government officials, academics and researchers in Europe, the Middle East and The Americas who are engaged in analysis, decision and policy making, research and governance related to border security. Papers discussing border security and migration in Italy, United States, United Kingdom, Israel, Bulgaria, Greece, Turkey, Morocco, and Tunisia are especially welcome. Manuscripts should be in APA style approximately 35 pages double spaces (not including diagrams, maps or high resolution pictures).